Saturday, March 16th was a beautiful sunny day. 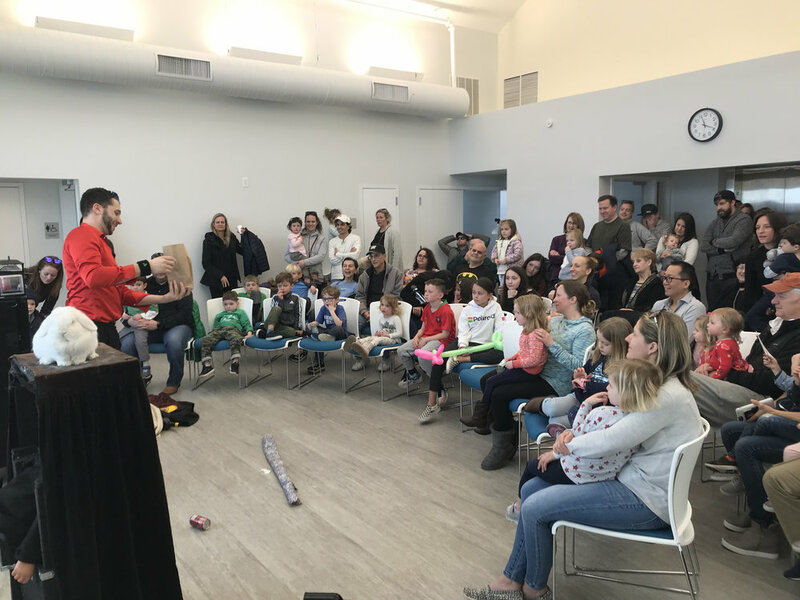 Thank you to everyone who not only joined us this past Saturday to celebrate the opening of our new library, but to all of those who have supported the growth and development of the library over the years. We had a wonderful time and enjoyed delicious food from Caputos, Richard’s Deli, Strokers Deli, the Sea Bright United Methodist Church (can’t say enough about Frieda’s quiche! ), and C. Rooney Produce. The kids enjoyed a performance by magician Matt Cadabra and then were able to get their faces painted by the talented Lori McSorley. The ribbon-cutting ceremony, led by Councilman Charles H. Rooney and Mayor Dina Long, was a true celebration of the library’s history with Sarah Hilton, Lance Cunningham, and Joan Walsh as part of the crowd. Enjoy these few snapshots of the day!